The Children’s Music Festival Workshops give children the unique opportunity to interact with and learn from the professional artists, many of whom perform at the Bowl! They are held on Tuesdays and Saturdays during the Bowl season and for children ages 4-12. All workshops are managed by Redlands Bowl Performing Arts and no admission is charged. An adult must accompany children. 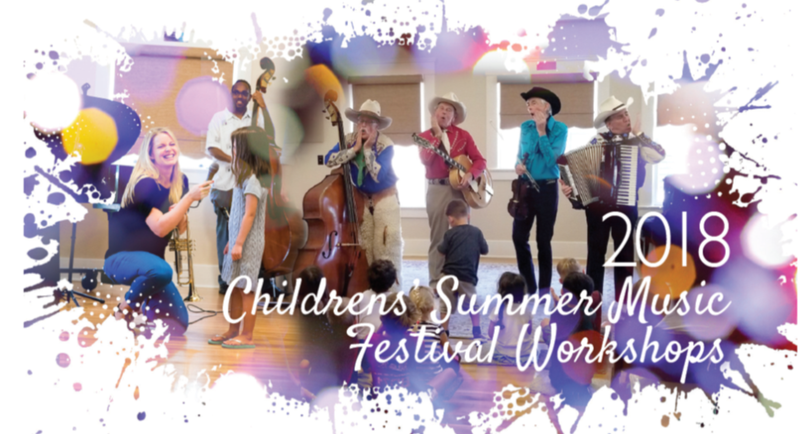 The Redlands Bowl Summer Music Festival Children’s Workshops are 10:00 a.m. – 10:45 a.m. Saturdays at the Redlands Community Center, 111 W. Lugonia Ave., and at 3:00 p.m.- 3:45 p.m. Tuesdays at the Mission Gables Bowl House, 168 S. Eureka St.
No reservations or registration needed. First-come, first-served. Catch a wave and join a musical beach party with the Surf City Allstars! Come learn about finger-snappin’, foot-tappin’ basics of jazz and hear some great jazz music. Experience the national instrument of Guatemala with some of Cal State San Bernardino’s foremost percussion experts. Featuring Dr. Todd Johnson. Celebrate decades of kid-friendly Broadway favorites! Sing-along selections from Seussical, Little Mermaid, Annie, School House Rock, and Beauty and the Beast will be featured. What do you get when you bring together a mandolin, banjo, guitar, rhinestone costumes, hilarious comedy, and classic country? Come have a down-home, foot-stompin’ time with Branson On The Road! Experience colorful and charismatic dance set to music from the regions of Mexico with the group recently featured on the Academy Awards in a number celebrating Disney’s recent blockbuster, Coco. This brilliant eight-violin ensemble joins us to play excerpts from Vivaldi’s incomparable Four Seasons and tell us more about its unique instruments, which were famously crafted by Dr. Carleen Hutchins. Come ready to dance and learn the ins and outs of musical theatre choreography with Stars of Tomorrow Children’s Theatre. Be our guest! Join director Wayne Scott and members of Beauty and the Beast cast to learn more about this year’s musical. See costumes, learn songs, and dance along to famous Beauty and the Beast songs. Bold and beautiful music! Colorful costumes! Experience a special workshop celebrating Bollywood dance! In celebration of the 100th birthday of Leonard Bernstein, join Maestro Fetta in learning about the music of one of the world’s most famous composers! Join us for a captivating workshop celebrating the beloved Polynesian art form of hula!